So. You've got yourself a date. Congratulations Romeo/Juliet. Now all you need is the perfect pub. Pick the scenario most suited to you below, and away you go. Ah. The awkward. Pause. Bane of many a first date. So you've used up all the best lines: "How's your G&T?" "How many dates have you been on this week?" "It is Sarah isn't it?" A pub heavily stocked with games might just save you. Play cardboard versions of Blockbusters and QI at The Rosemary Branch in Islington. Get your brains around bar billiards at The Dog and Bell in Deptford (that'll take an hour or three). 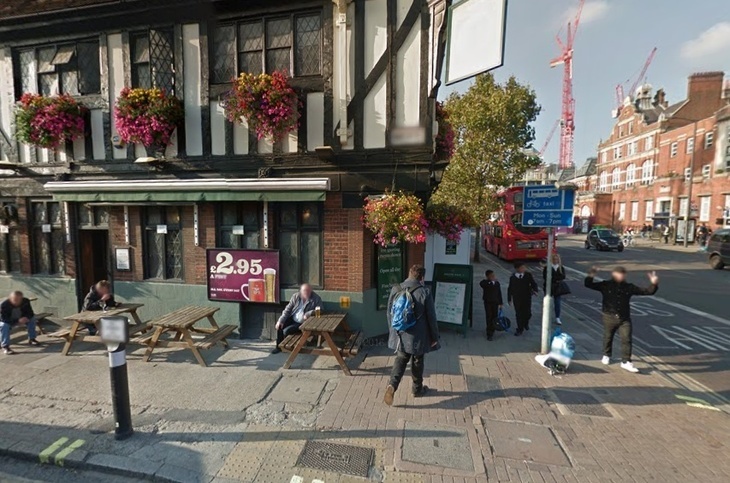 Use our pub database to winkle out the best board/billiard game boozer for you. 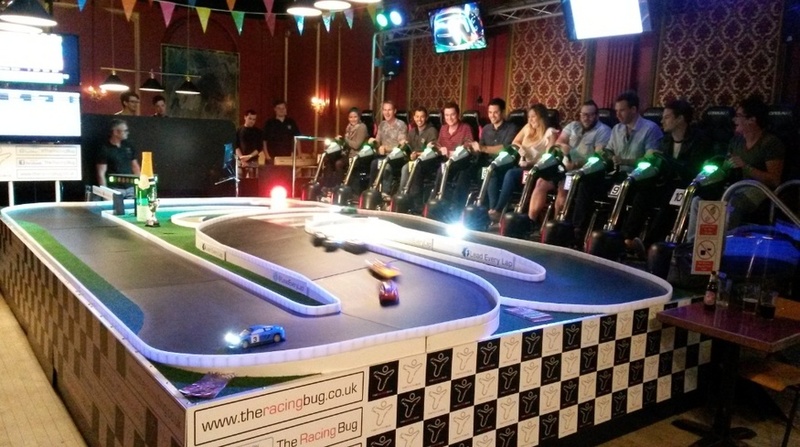 If you're really worried about conversation drying up, play it safe and get stuck into the remote controlled car arcade at Battersea's The Four Thieves. Some pubs have theatres in them. Others are full-time comedy clubs. Suggest a pub inhabited by one of these felines, and pet it every time your banter comes unstuck. The options are plentiful. Don't suffer in silence. A romantic fire at The King William the Fourth, Leyton. It also happens to sell one of London's cheapest pints. Photo: Matt Brown. In London's frost/pea-souper ensconced months (AKA September-June), a pub with an open fire works wonders. The Fox in Hanwell, The Old Sergeant in Wandsworth, or any of these blazing beauties will ensure things hot up. Feeling confident about this date? 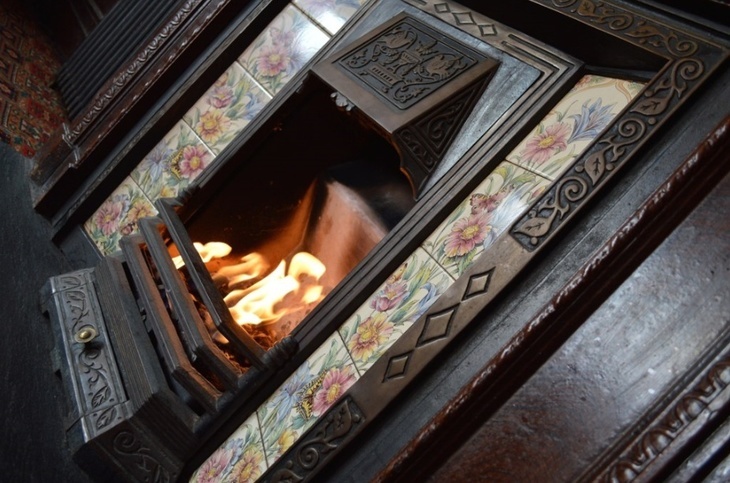 Allow us to find you a pub with a snug. Historically, snugs are where sidelined wives would enjoy a bottle of stout. Now they're often utilised for surreptitious smooching. Samuel Smith's pubs are a dab hand at snugs: The Cittie of Yorke, Chandos, Princess Louise and Lyceum Tavern — all in central London — have fine snugs. So does The Ship and Shovel, secreted off Trafalgar Square. Bonus: if an argument brought on by close proximity ensures, one half of the date can decant to the other 50% of the pub, situated adjacent. See also: The 10 best pubs for a secret rendezvous. You want to impress by getting the rounds in, but payday isn't until next week. Solution? One of London's 11 best Wetherspoons. If you/your date can't be seen dead in such an establishment, know that The Tankard near Elephant and Castle is still advertising beer (well, Greene King IPA) for under £3 a pint (Update: it's now £3.20 — gasp). That said, we've been inside The Tankard, and can report its mock Tudor half-timber and hanging baskets belie an atmosphere that's not altogether conducive to a first date. Much better: settle in at The King William the Fourth in Leyton, where superb Brodie's beer usually comes in at under three quid. And they have karaoke (see 'for avoiding awkward conversation'). Nothing like a romantic vista, we're told, to get the old, er, romance juices (?) flowing. 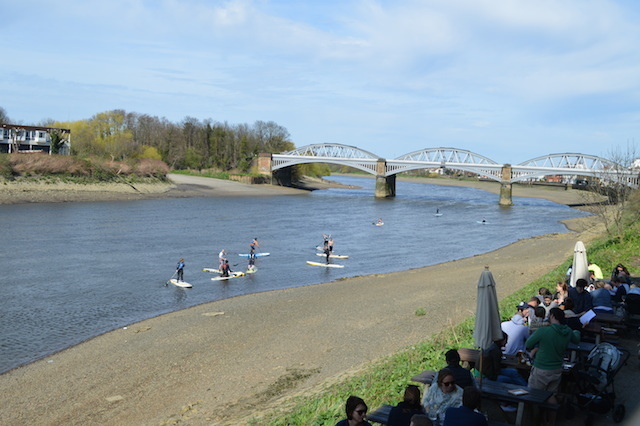 Thames-side boozers are a dead cert; we've plucked out 17th century gastropub Ye White Hart and its terrace with views of Barnes Bridge/ripped rowers. But you'd do just as well at any of these riverine retreats. If you/your date subscribe to the fallacy that the countryside is more swoon-inducing than the city, seek bucolic views at The Hare and Billet in Blackheath or the The Water's Edge in Ruislip Lido Park. Or find a bolthole in one of these London places that feel like the countryside. Ye White Hart: bucolic, no? When a date is going nowhere, it's reassuring to know you can slip off somewhere fast. One of these train station pubs ensures your pint comes with the additional option of scarpering to Cornwall/Oxford/Manchester. And this man knows a thing or two about pubs near tube stations. He's been to every single one, after all. You'll be back in bed with fried chicken and Netflix in no time.